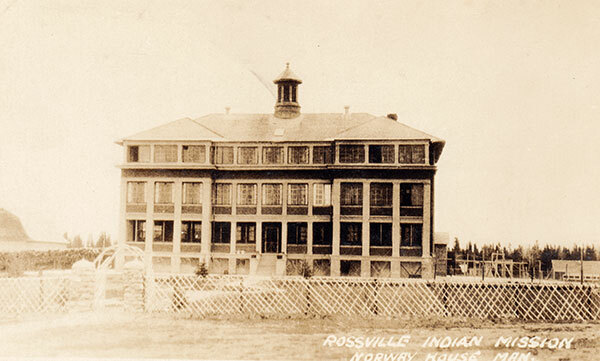 This boarding school was built by the Department of Indian Affairs in 1915 to replace a structure from 1898 that had been destroyed by fire in February 1913. This structure was destroyed by fire on 29 May 1946 and was replaced in 1952 by a third school. The facility closed in 1967. Obituary [Bernard Stanley Lee], Winnipeg Free Press, 10 May 2004. “Giving credit where it’s due,” Winnipeg Free Press, 21 March 2017, page B1. Norway House IRS Timeline, The Children Remembered.